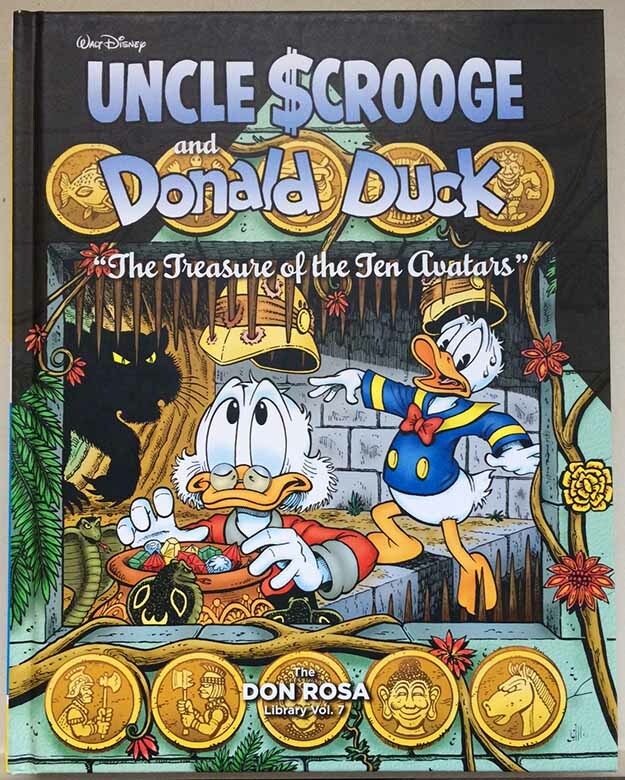 Cover art by Don Rosa, published by Fantagraphic Books. Image © Disney. The longer epics have their points. “The Once and Future Duck” takes Scrooge and his cohorts to the time of King Arthur at Stonehenge. “Treasure of the Ten Avatars” is an Indiana Jones type artifact hunt in the jungles of India. “The Last Lord of Eldorado,” my favorite of the treasure tales, sends Scrooge on a search for the legendary Eldorado, City of Gold, in South America, with rival Flintheart Glomgold interfering in every way he can. There are more, but you get the idea. Hours of fun reading here. Recommended. This entry was posted in Comics, Reviews on January 29, 2019 by Todd.